Refined to lower the sulfur content, improves air quality and extends wick life. Meets ASTM 1K Specification. 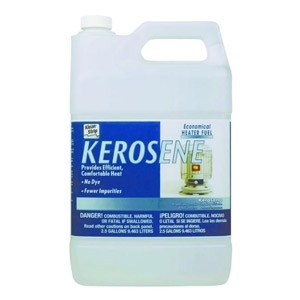 Suitable for all kerosene-burning heaters, lamps, and stoves. 2.5-gallon plastic bottle. © 2019 Lee Hardware & Building Supply . All rights reserved.